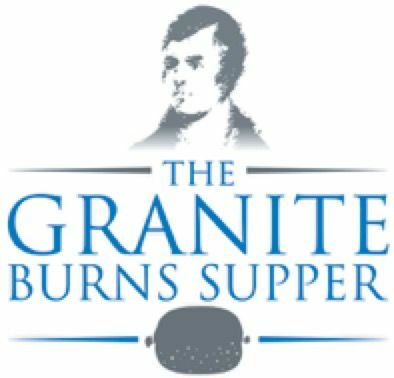 Granite PR are celebrating their eleventh anniversary in partnership with Business Plus Scotland by hosting a giant Granite Burns Supper at the DoubleTree by Hilton Aberdeen Treetops Hotel on Friday January 25th 2019. Over 500 folk from the City and Shire are expected for this second event to Robert Burns in this attempt at the World's Largest Burns Supper. This includes a drink upon arrival to the networking drinks reception (6-7pm), 2 course dinner and coffee or tea and tablet. During the evening there will be entertainment which includes a business speaker, Scottish entertainment and then a Ceilidh band 11pm onwards. There will also be a fundraising auction of global flights for British Airways Flying start campaign for comic relief and for local charity Inspire. A special rate of accommodation with the hotel by calling them direct on either 01224 498394 or 01224 498390. Please quote GBURNS Their address is DoubleTree by Hilton Aberdeen Treetops 161 Springfield Road, Aberdeen AB15 7AQ. Though formal proceedings will finish at 11pm the bars will remain open until 1am. This attempt at the largest Burns Night Supper will be raising funds for the British Airways Flying Start Campaign to help transform thousands of children's lives in the UK and in some of the poorest countries across the world. The dress code is dress to impress with the suggestion of Highland/Touch of Tartan for the men. it is not a formal black tie event so tartan ties/trews/kilts are all acceptable. Shawls/corsage/sashes are suggested for the ladies. More Burns Night Aberdeen events.